Understanding the exam format is of utmost importance to frame your mind for preparation as ACCA clearly spells out what are the marks allotted to Q1-4 (no choice of questions at present) are: 40-20-20-20 marks respectively being the current exam structure. Examining team guidance is a good read available at ACCA's website .Examiner's reports and approach/past papers/examinable documents /syllabus are important reads as and when we go through our studies in between. Personally, I followed a strategy of going in a particular order - background of IASB authorities-financial statement components like revenue/PPE/Leases/Government Grants/Borrowing costs/Income Taxes/Financial Instruments-disclosure standards and finally consolidation topics (IFRS 3,10,11,12,IAS 27,28). Procrastination is something which we will repent, later on, so remove the word from your dictionary! Set your time slots and ensure it done as planned which gives you the ever so important confidence to move ahead in the course study. Financial statements formats are to be understood for the purpose of Q1 as well as any question which may require extracts from Financial Statements to be presented. As we tend to focus more on consolidation, I believe it is equally important for conceptual understanding that we do spend enough time for aspects like definitions/explanations of treatments of items in standards. As you all would be knowing we did have questions to define an accounting policy/estimate in our June 2016 paper (they don't require exact words for the marks but it should convey meaning to the examiner as mentioned in the guideline answers). The topic of financial instruments and new IFRS 15 is gaining popularity in the exam structure too. IFRS 9 was tested in Q1 and a theory for 8 marks in Q4. As we know, 40% of mark weight age is for consolidation (first question normally), practicing on pen and paper with proper working notes and presentation just like as we would for the exam does the world of good. I personally did four full question papers under exam conditions of 3h 15 minutes at the same IST times 2:30pm-5 45pm. It may sound awkward, but when you get the benefits it's worth it! However, individually when we practice consolidation questions, that need to be timed as well to strategise our exam plan whether to take up Q1 at the end or not. The online recordings/material were the main sources though I did read through BPP learning material for few topics like IAS 12/IFRS 6/7/IASB Frameworks. Extremely vital and important is to attempt the full paper which increases the pass chances definitely and get yourself good scores for the effort you've put in! As far as a possible write-in points. I've seen ACCA videos where they advise us to leave a lot white spaces in an answer (meaning to write in points) which makes the examiners stop and think 'should I give a mark here'. 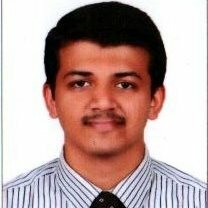 Rahul has completed Online Diploma in IFRS Course from MeraSkill a course by RamMohan Bhave Sir.